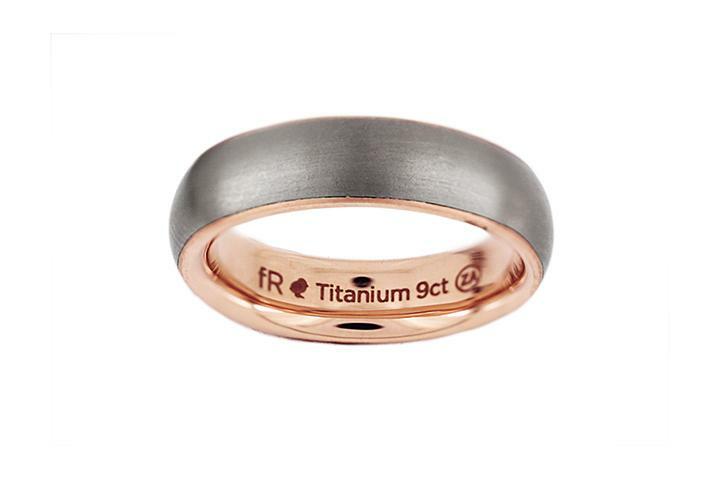 This Gents Ring features a brushed Titanium outer band in a dome shape, and an inner sleeve made from 9ct Rose Gold with a comfort-fit curve. 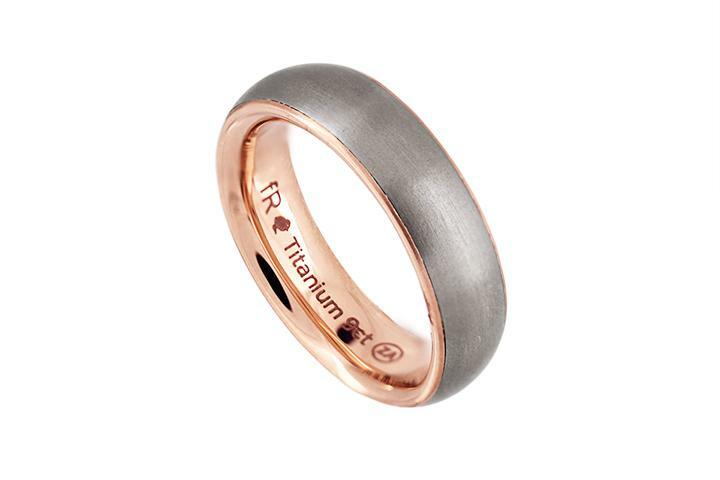 A fine edge of Rose Gold is visible from above, off-setting the the deep grey of the Titanium. 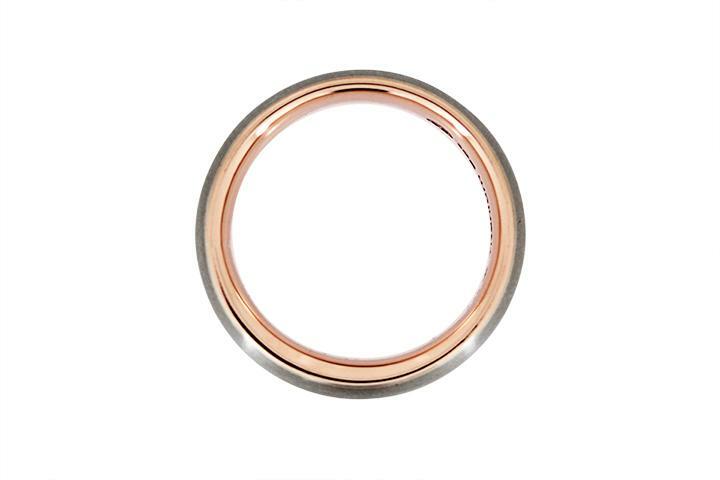 This ring measures 5.8mm in width, and is a Size Q. These can be made to orde in various metals and to fit any size. Contact us for your personalised version of this popular ring.